Design Wild LIVES to create gardens throughout the city. We love how the magic and wonder of the natural world wildly transforms and improves our city life. We have been busy on a bunch of projects this season designing and creating gardens both in residential spaces as well as public ones. 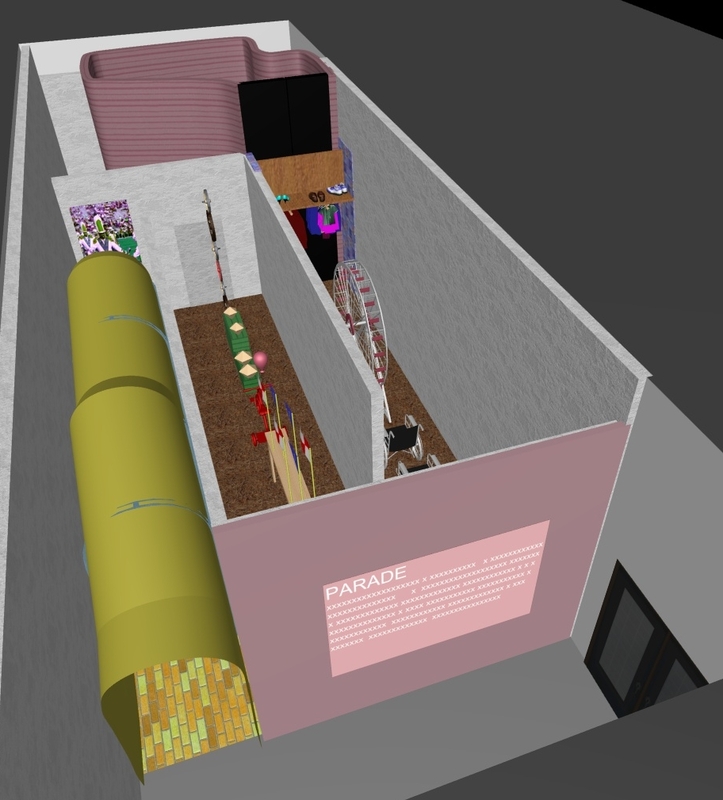 PARADE is an immersive multi-media installation by artist Derek Fordjour that will take visitors on a journey through the sense-memory of childhood and the process of forging an identity. At once playful and poignant, disorienting and propulsive, PARADE will engage and inspire both adults and children alike. You may be wondering, how does Design Wild contribute to a museum show?? This is actually the second Fordjour Studio installation Design Wild has contributed to. The first one was in 2015 and you can read what the Times had to say about that show here. This time around, Design Wild worked on a few angles of the show, both supporting overall creative process, discovering playful material solutions and bringing touches of that magical wonder only the wood elves do better! 1. Working closely with the artist we down loaded his entire vision into a 3D model. Being able to walking through the model allowed the artist to make design decisions and experience his concept at scale. The model also became an essential tool for communicating with the wider installation team; from curators and museum staff to construction professionals. I mean, what museum show is complete without 4 tons of soil? Or several pallets of brick! Just let me loose in a masonry yard and I’ll be happy for the rest of the day. Well… it may involve a 14’ tree installed in museum... but for that you’ll have to come see the show! PARADE opens July 24 and will run through November.